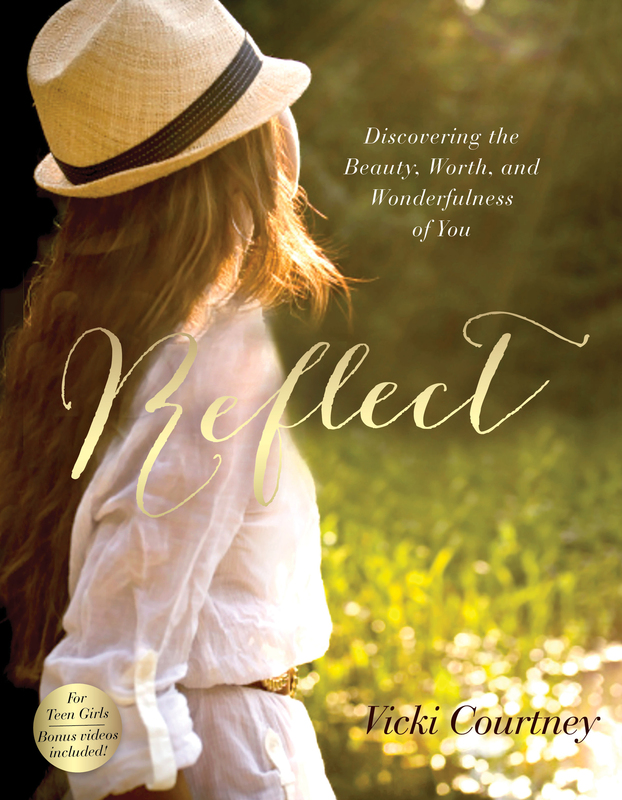 A teen girl’s guide to discovering her true worth through God. Self-worth is one of the biggest struggles for teen girls, and bestselling author Vicki Courtney offers just-right encouragement with her special blend of straight talk and wisdom. Reflect will help teen girls to love what they see in the mirror, to deal with the pressures to look and be perfect, and to truly believe they are worthy and wonderful, just the way God created them. Available at Amazon and most Christian bookstores.